Veterans Day is this weekend, and we’d like to thank all our veterans for their service. We couldn’t do what we do without your sacrifice. 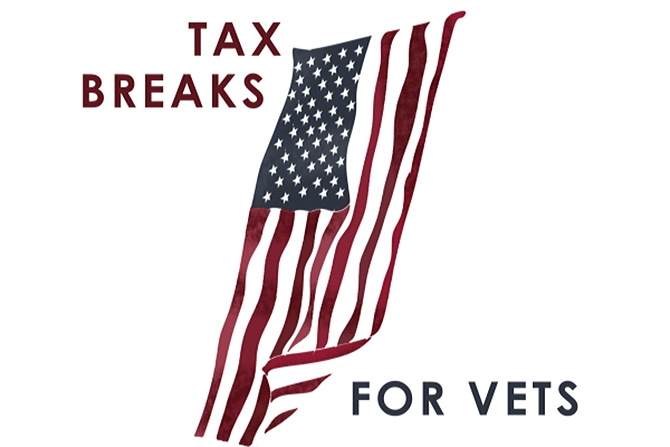 Today, we’d like to highlight and review some ways that military vets can save money when they file their taxes. Disability payments from the VA don’t count as taxable income—so you won’t have to report them on your taxes, and you shouldn’t include them in your gross income. There are more disability benefits that aren’t taxed, which you can see on our disabled vets blog post; the point is that some vets might not actually have to file their taxes at all. The downside to not filing is that you wouldn’t be able to claim some tax breaks like the Earned Income Tax Credit (EIC), simply because taxable income is a requirement to claim the credit. It doesn’t hurt to go through the process, even if you’re pretty sure you have no taxable income—especially with an interface as simple as 1040.com’s. You’re a vet now, but if you were enlisted and based in a designated combat zone during the tax year, your income from that period is probably not taxable. Combat zone pay doesn’t need to be included in your gross income amount if you’re an enlisted member, warrant officer or commissioned warrant officer. 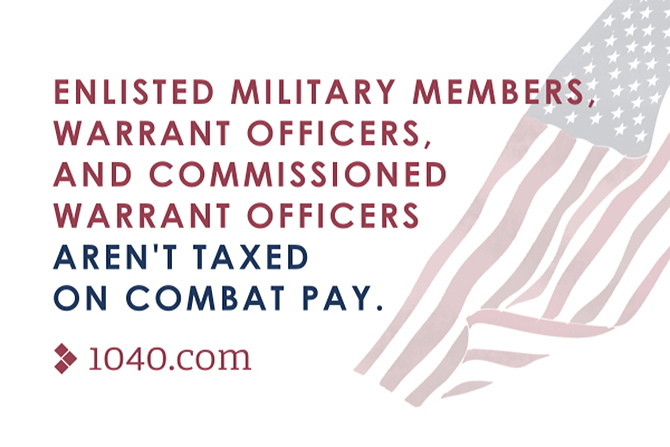 If, on the other hand, you’re a commissioned officer, your tax exclusion is limited to the highest rate of enlisted pay. That goes for combat pay and any months spent hospitalized as a result of combat service. See our section of the Tax Guide on taxes for US service members for more info. Unreimbursed moving costs can be partially deducted on Form 3903, Moving Expenses. Starting in 2018, the moving expense deduction is only available to military members (see the moving expense deduction section of our Tax Reform 101 guide). To qualify, you must have made the move within one year of the end of your active duty. The moving expense deduction is an above-the-line deduction, not an itemized deduction. It is not impacted by the new, much-higher standard deduction introduced by the Tax Cuts & Jobs Act, which will cause fewer taxpayers to claim itemized deductions. The moving expense deduction can be claimed whether or not you itemize deductions on Schedule A. You can use our Tax Estimator App to get a better idea of how tax reform may affect you this year. From everyone at 1040.com, we’d like to thank our veterans for all they’ve done, and we hope this information helps make your taxes simpler and better than ever.